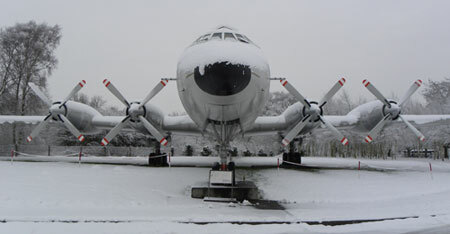 Step in from the cold into the award winning National Cold War Exhibition, where you will find much more than aircraft on display. The exhibition includes a genuine section of the Berlin Wall, audio visual displays telling the story of the Cold War in a fun and innovative way, plus a collection of military tanks and civilian vehicles – all housed under the wings of Britain’s three V Bombers; Vulcan, Victor and Valiant and other aircraft suspended in flying attitudes. The RAF Museum Cosford is also home to a number of smaller unique exhibitions including Lucky Mascots and RAF Boy Entrants. Plus, in Hangar 1 you will find the 1:1 scale Airfix Spitfire model built by TV Presenter James May and the popular ‘Pilots of the Caribbean – Volunteers of African Heritage in the RAF’ exhibition. Best of all, if your credit cards are maxed out after Christmas, a visit to the Museum won’t cost you a penny as admission is FREE! So if you’re looking to entertain the children in the run up to Christmas, or your nearest and dearest in the lull before New Year, the RAF Museum has something to occupy visitors of all ages. The fun filled area of Fun ‘n’ Flight will keep the youngsters fascinated, packed with hands on excitement; it’s the easy way to answer all those questions about how aircraft stay up in the air. Or, if you’re in need of a break from all the cooking, why not treat yourself to a warming meal and freshly brewed cup of Coffee in our Refuel Restaurant overlooking the Museum grounds. The Museum will close again on New Year’s Day and will reopen on Friday 2 January 2015 from 10am until 5pm (last admission 4pm). The Museum’s annual closure week for maintenance, training and cleaning will run from 5-9 January 2015. For further information, please call the Royal Air Force Museum on 01902 376200 or visit the Museum website www.rafmuseum.org. The Museum is open daily from 10am and admission is FREE of charge. Forget Santa’s Sleigh, when it comes to providing an aerial spectacle to savour this Christmas, look no further than the official 2014 Royal International Air Tattoo Souvenir DVD. Featuring all the thrills and excitement from the world’s greatest airshow, it’s the perfect gift for anyone with a passion for aviation. Filmed in High Definition and featuring multiple camera angles, including on-board footage, the official DVD captures the very best of the flying display including the rarely-seen Polish Air Force Su-22M4 pair, the Turkish Air Force F-16C Fighting Falcon, the RAF Chinook and the RAF Typhoon plus the ever-popular Alenia C-27J Spartan from the Italian Air Force. A sell-out crowd of 140,000 visited RAF Fairford over three days in Julyto join celebrations marking the Red Arrows’ 50th display season. The souvenir DVD, which is also available on Blu-ray or as a digital download, captures behind-the-scenes preparations, interviews with team members and display footage as well as coverage of the Reds’ unique flypast with the leaders of four other international aerobatic display teams. More than 220 aircraft, representing 32 air arms from 26 countries took part in this year’s airshow, which is staged in support of the RAF Charitable Trust. In a special ‘extras’ section on the DVD, there is the opportunity to see many of those aircraft that appeared on static display either arriving or departing RAF Fairford. They include the debut airshow appearance of the Textron AirLand Scorpion, the final Air Tattoo appearance by two Hellenic Air Force LTV A-7E/TA-7C Corsair IIs and a rarely seen Japanese Boeing KC-767J. And with narration by one of the UK’s most respected airshow commentators, Ben Dunnell, the official RIAT 2014 DVD shines an entertaining and informativespotlight on modern military aviation. 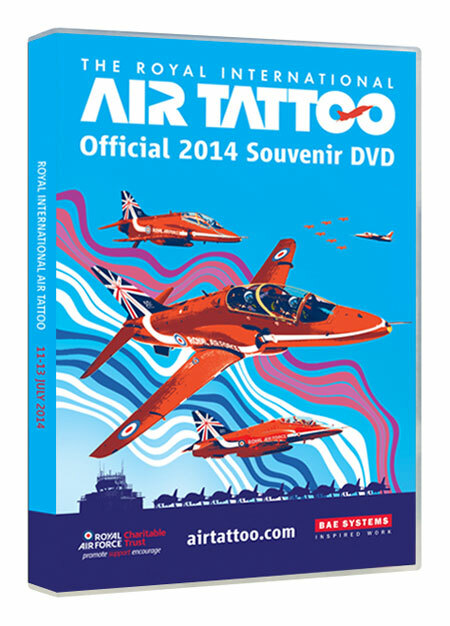 The official Air Tattoo 2014Souvenir DVD is available on DVD (priced £19.95); Blu-ray (£24.95) and, for the first time via digital download (£14.95). To order your copy, visit www.airtattoo.com or call 0800 107 1940. Following the successful application of polyester fabric to the inner wing sections of the General Aircraft Monospar airframe during the summer, work is about to proceed with the more complex wing sections. The starboard wing has just been moved into the museum’s on-site workshop and an epoxy primer coating is being applied to the complex lattice work structure of the wing. After this has cured the complex task of applying the fabric will commence, this work will be undertaken by the members who developed their fabric application techniques earlier in the year. Sufficient fabric and associated materials have now been ordered to allow both the Monospar airframe and the Auster AOP9 fuselage to have fabric applied. 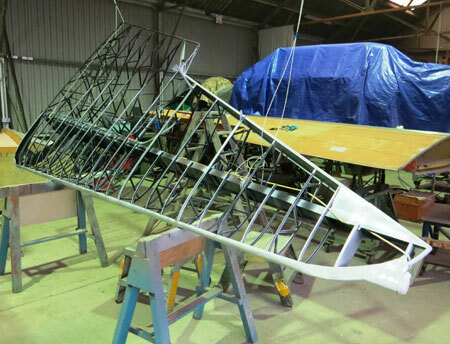 Some work is still to be completed on the ‘top hat’ longerons on the Monospar fuselage, but once this has been undertaken the fuselage fabric will also be applied. All of the rebuild work on the General Aircraft Monospar VH-UTH at Newark Air Museum is being without any working drawings or airframe plans. 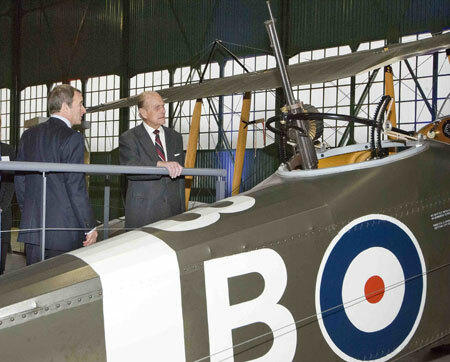 Today The Duke of Edinburgh conducted the official opening of a new permanent First World War exhibition at the Royal Air Force Museum London. Whilst at the Museum, His Royal Highness met and spoke with members of Museum staff as well as designers and technicians who worked on the exhibition. Set in a Grade II listed building, which was part of one of the factories where aircraft were constructed for the First World War; the exhibition uses these authentic surroundings and the RAF Museum’s world-class collection of aircraft, documents, film and photographs to reveal how aviation changed the character of war forever. Designed by Ralph Appelbaum Associates, the exhibition explores what it was like to be involved in the earliest days of military aviation through the story of Britain’s air services, the Royal Flying Corps and Royal Naval Air Service. These two organisations merged on 1 April 1918 to become the world’s first independent air force, the Royal Air Force. Displays incorporate the experiences of pilots, ground crew and factory workers to help tell this fascinating story. Exhibits include iconic aircraft such as the Sopwith Camel, the Fokker D VII and an example of an aircraft that was built in the factory at Colindale – the Avro 504. The exhibition’s narrative-led design is rich with interactivity, dramatic media and diverse collections. The thrilling story of the evolution of flight, from the early days of experimentation to full-force fighting machines, is underpinned by stories of people ‘on the ground’. The exhibition also explores the extraordinary expansion of Britain’s air services, the Royal Flying Corps and Royal Naval Air Service, from 1,800 men in 1914 to a Royal Air Force of 290,000 men and women at the end of the war in 1918. As part of ‘First World War in the Air’ the creation of temporary exhibitions and supporting activities will include programmes for lifelong learning, volunteering, apprenticeships and public events. This four-year project marks the Centenary of the First World War, exploring the development of air power as an integral part of modern warfare including the birth of the RAF itself in 2018. 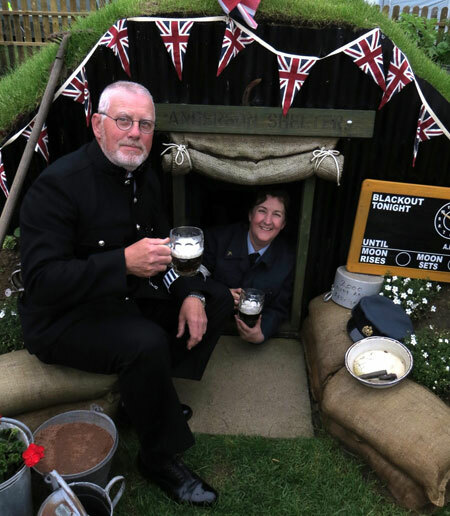 The First World War in the Air exhibition was made possible with a grant of £898,558 from the Heritage Lottery Fund (HLF).